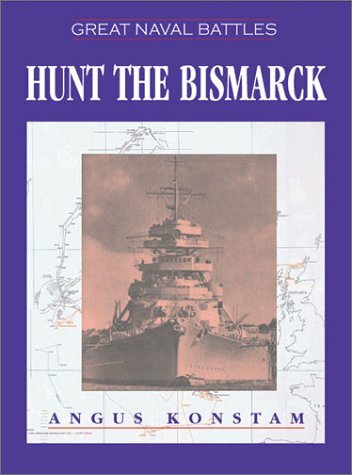 This first title in the new Great Naval Battles series profiles one of the most dramatic naval episodes of World War II--the pursuit of the battleship Bismarck. After sinking the HMS Hood and heavily damaging the new battleship Prince of Wales, the Bismarck broke out into the waters of the North Atlantic in a desperate run for freedom. Pounded from the air and surrounded by ships of the British fleet, the German ship went down in an encounter that is still studied and debated to this day. Noted curator and author Angus Konstam draws on historical records as well as the recently discovered wreck of the Bismarck to offer a fresh overview of the legendary chase. More than one-hundred illustrations and maps accompany the text. The book serves as an excellent introduction to a series sure to be appreciated for its presentation of the ships, commanders, battle arenas, and repercussions of the most important naval conflicts of World War II. 100 illustrations. Maps. Paperback 71/2 x 111/2 inches.